If anyone was to follow me doing my weekly grocery shopping they would see me zipping all over town, as I often go to a few different supermarkets to get the best foods, the best deals or my favourite varieties. There are certain things that I always buy in each supermarket, so much so that I could probably do part of my shopping with my eyes closed! 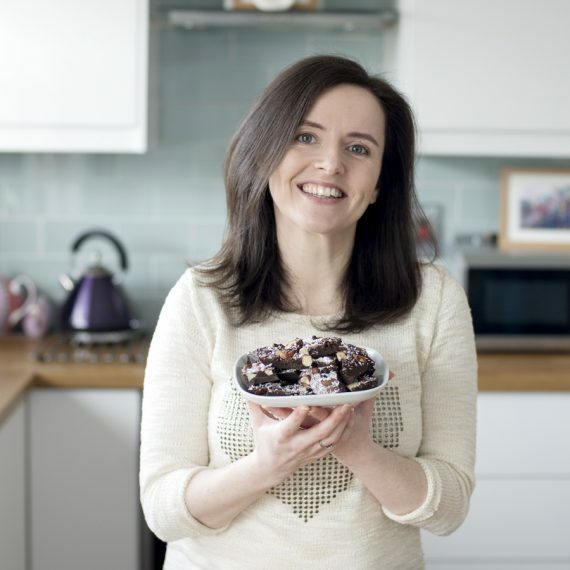 In my ‘Eat This’ series (posted on Tuesdays) I talk about the nutritional and health benefits of various foods and why you should be eating them. 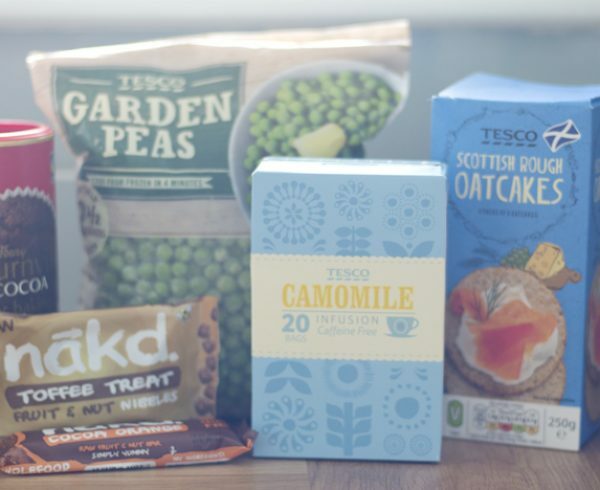 The purpose of blog posts like this one is to actually show you the brands that I buy, their price, etc so that you can recognise them in the supermarket next time you’re in. 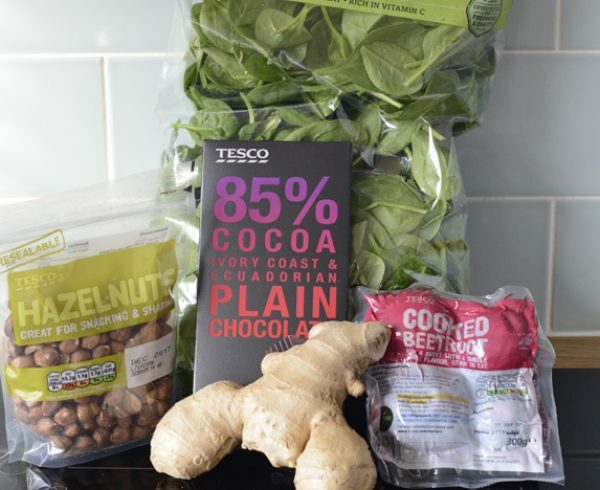 So you can take for granted that all of these foods are really nutritious and you would benefit from adding them to your shopping basket! 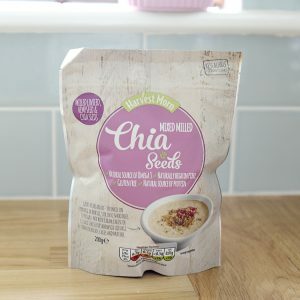 When it comes to seeds like chia seeds and linseeds, sometimes when we eat them they can basically go in one end and out the other! 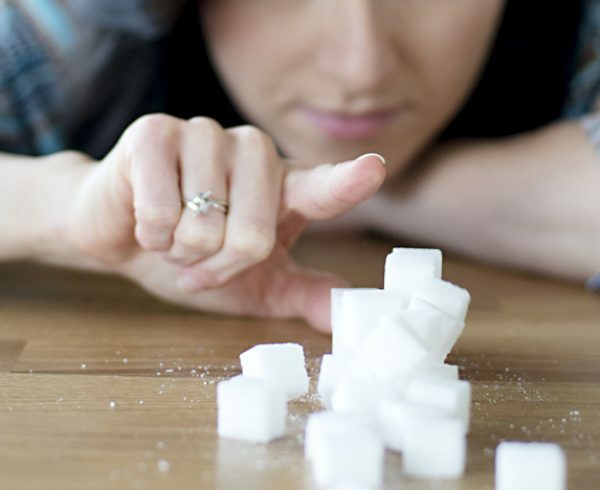 They’re so small that we don’t break them down enough when we chew them and so they leave our body without being digested! Milled seeds have been ground down into a coarse powder, effectively making them ready to be digested! There are a few varieties in Aldi, but I particularly love this one with the purple label as it is a tasty mix of chia, flax and hemp seeds. I sprinkle a tablespoon of this on top of my porridge or I might add it to a smoothie. 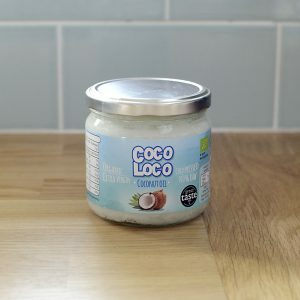 When I first started using coconut oil I remember paying about €20 for a jar of it in a health food store! Utter madness! But it has become so popular in the last 2 years and therefore much more readily available and better value. This one is really good quality and also a very good price. I put a teaspoon of this through my hot porridge, or I sometimes use it for frying. I also use it along with honey to wet my home-made granola before it goes in the oven (recipe here). I’ve also been known to rub it on my elbows as it is an excellent moisturiser! It took a serious amount of detective work to review the nuts in all the different supermarkets and figure out which ones were the best value. It wasn’t easy since they all come in different sized bags which the supermarkets seem to keep changing! Anyway, for now, I always buy my almonds in Aldi. 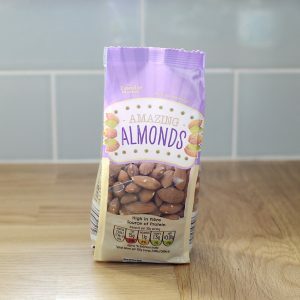 I buy 2 bags of these babies nearly every week to make my own home-made almond butter, because almond butter is basically the glue that holds my body together! I still can’t believe that I got to the age of 31 before having EVER tasted an avocado. That first taste was a bit “meh” if I’m honest, but now I cannot imagine life without these green squidgy wonders! 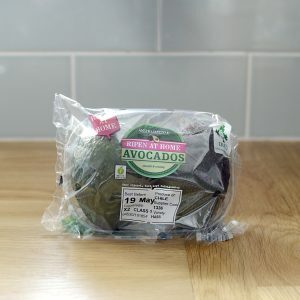 Even if you are new to avocados, you have probably still heard about the whole ‘waiting for an avocado to ripen’ saga! I used to pay extra and buy ‘ripe and ready to eat’ avocados, but now I have it all sussed out! I buy these ‘ripen at home’ avocados every week and they are ripened by the following week. So on any particular week, the avocados that I am actually eating are the ones I bought the previous week…make sense!? 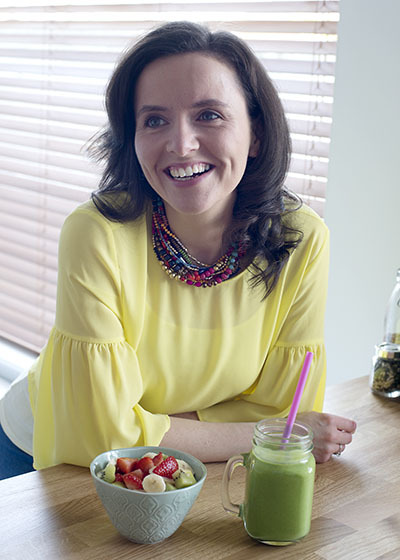 I throw half an avocado into my daily smoothie to make it lovely and thick. I also use avocado instead of butter (since I can’t eat dairy), I chop it up and throw it on top of a salad, I add it to home-made hummus and pesto…I’ll basically eat it with anything! Oats can be purchased quite cheaply in all supermarkets, but I really like the texture and quality of these guys. Always make sure your oats have only one ingredient, and that it’s “wholegrain” oats. 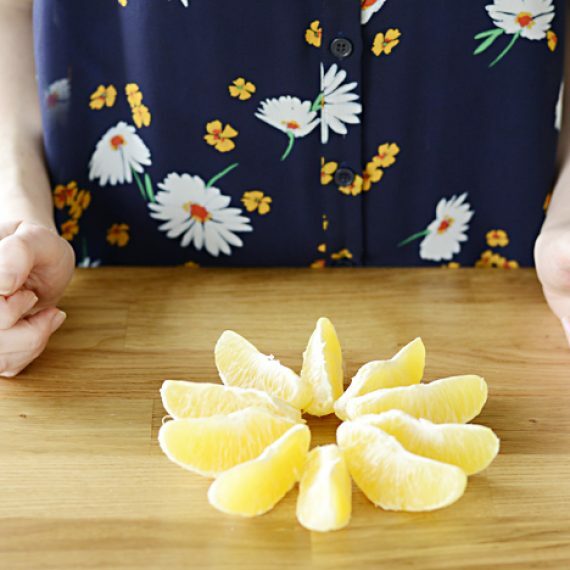 I also love that these guys are organic. 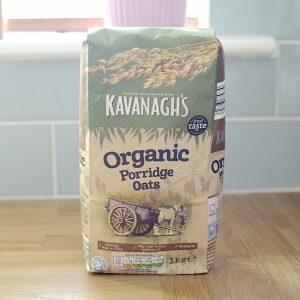 I’m sure I’ll do a blog post in future on the whole organic thing, but my approach (when I can afford it) is to buy organic for foods that I eat a lot of…and I eat a lot of oats! I mainly use my oats for making porridge, home-made granola and bread. 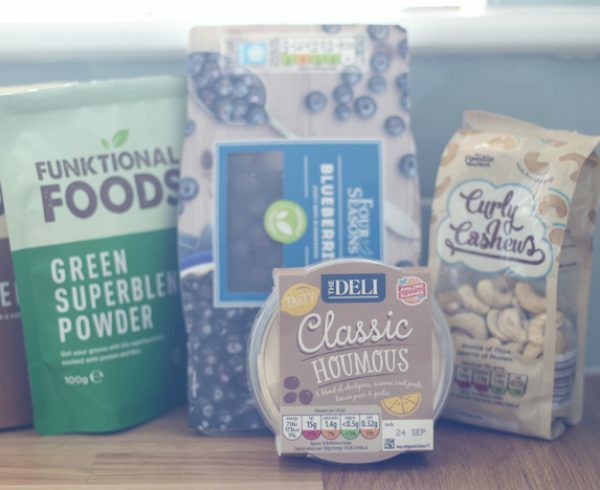 So there you have it, 5 things I always buy in Aldi! 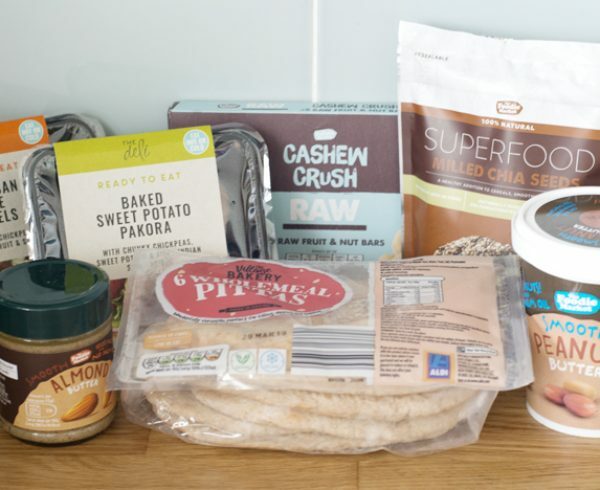 Keep your eye out for more ‘5 Foods I Buy’ posts…since I do obviously buy more than 5 things in my weekly shop!